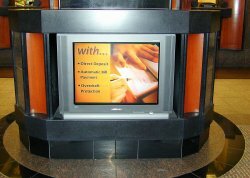 ANN ARBOR, Mich. – Sept. 26, 2006 – Bank of Ann Arbor (http://www.boaa.com) is extending its StrandVision Digital Signage network to all of its bank branches. The bank has signed a three-year contract with StrandVision LLC (www.strandvision.com) of Eau Claire, Wis., a provider of Internet-based digital signage services. The new network replaces a signage system that had been used by the bank for the last nine years. 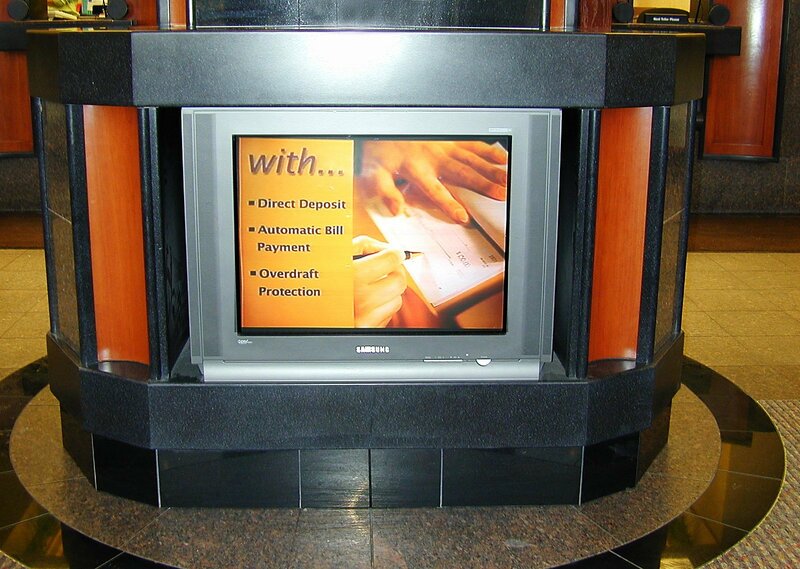 StrandVision digital signs located in bank customer service areas are an excellent way to cross-sell customers. They can promote loan and CD sales; introduce investment, insurance or health savings account products; promote community projects; run local news and weather – they can even air television ads, videos and other promotional multi-media. Non-technical administrative staff can handle day-to-day content updates as often as needed with instant updates to all branches without local branch staff involvement. StrandVision LLC, previously Online-Kiosks, delivers low-cost, high-availability hosted digital signage services through a patent-pending, Internet-based approach that eliminates the need for complex and expensive onsite hardware. It delivers content directly to subscribers’ televisions, including LCD and plasma displays, and computer screens. StrandVision’s Web-based service makes it easy to set up, maintain and quickly distribute text messages and graphics, including advertisements, video content, and national and local weather and news. It is ideal for medical and dental offices (patient education); banks, retailers and industrial distributors (video merchandising); employee break rooms (events and benefits); non-profit and religious organizations (client and fundor communications); and other applications. StrandVision Digital Signage services are available directly from StrandVision and through registered affiliates and system integrators (www.strandvision.com/digital_signage_installers.html). Additional information about StrandVision and a free trial subscription are available at www.strandvision.com, by calling 715-235-SIGN (7446) or emailing sales at StrandVision.com.